TestAS - Your bridge to Germany! 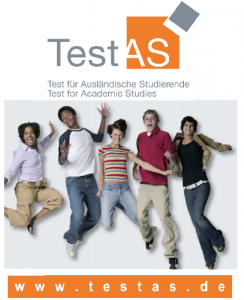 TestAS is the aptitude test for any international student who wants to follow a study programme in Germany. Each year over 5,000 students take this test worldwide. TestAS tests skills that will be very important for your success as a student, for example: logical thinking, recognizing structures or solving problems. TestAS proves what you are capable of and helps you to find out whether a certain study programme is the right choice for you. Go to TestAS websites, click on ‘Registration’ and follow the instructions. Remember your password! Upon registration, participate may contact MSE office. TestAS is offered in English as well as in German. Click on ‘Sample Questions” on the TestAS website in order to familiarise yourself with format and structure. For more information and registration go to www.testas.de.